Anyway, the only reason I’m writing this late is because something is bugging me. What struck me tonight were a number of strange juxtapositions. First off, there are the items about weather and earthquake weapons that made the rounds over the past week or so. The first one was about former Defense Secretary Cohen openly referring to HAARP when he admitted to programs that could “alter the climate, set off earthquakes, volcanoes remotely through the use of electromagnetic waves.” Search for it on the net, you’ll find it on a bunch of conspiracy sites (not that we don’t think there’s a whole bunch of conspiring going on ourselves here on SOTT.net). I think these clowns would love people to think that they can control climate – and maybe they can if they set off a volcano. But what they are really trying to do is blow smoke around REAL Earth Changes; changes that they have no weapons to stop. And these Earth Changes are what could, conceivably, destroy most of life on Earth. It drives me nuts when people keep going on about HAARP and that ‘chemtrail’ nonsense, and none of them are asking about all the secret space missions of the past ten years or more, nor even really using their noggins to think this thing through. The Cs have been explaining this stuff and talking about it for SEVENTEEN years now! They were actually the first to talk about EMP weapons… then, years later, Col. Corso revealed a few tidbits about them in his book Day After Roswell. Some time later, there was semi-official acknowledgment of their existence and then later still, everybody was talking about it. Just recently we see this: Atmosphere Above Japan Heated Rapidly Before M9 Earthquake Which makes one wonder if focused energy from space – whether of cosmic origin or induced by satellites – might play a key role in setting up earthquakes. There’s more, of course, but these are dangling threads to follow and we have followed them and have written about them, but we get drowned out by the nonsense that passes for research nowadays, plus the major “HAARP and chemtrail” propaganda that’s been funded by the Pentagon for years now. Heck, the same gang that funded the first HAARP book tried to buy us back in 1997. We said “no thanks”. The next one was “Secret Weather Weapons Can Kill Millions, Warns Top Russian Politician“. As you can see by clicking the link that even Catherine Austin Fitts has been taken in by this nonsense. Really! Just watch Zhirinovsky doing his Nikita Khruschev impersonation. I mean, what is UP with that? 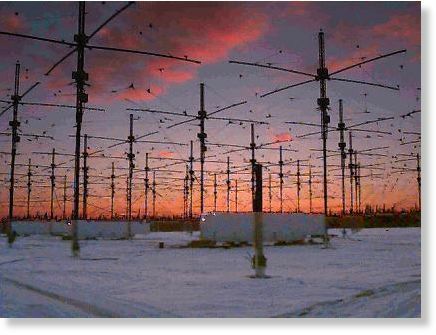 It is DESIGNED to create all the speculations that are racing around the net about HAARP and ‘Weather Weapons’. Come on, people, THINK! It’s obvious that Zhrinovsky has been tasked with pushing the “Weather Weapons Technology” and “Weather Wars” business in an effort to cover up the REAL EARTH CHANGES that are happening NOW! Next, of course, we have Ahmadinejad accusing the West of weather manipulation! If there was ever proof that there is already a One World Government and the leaders of all the countries on the planet are in on the farce that is being played out for humanity, this is it! Russia and Iran pushing the West’s agenda to mask Earth Changes with propaganda about Weather Wars? Think about it. It’s getting harder and harder to cover up and distract attention away from the fact that our planet is in crisis. People are noticing and all this weather weapons nonsense is designed to make people think it’s all a ‘game’. The controllers want people to think they are in control because if people really could see that it is really all of the long-ago-predicted Earth Changes that we are experiencing NOW, they would turn on the governments and devour them. Because realizing that it is Earth Changes – and that no one can control what is happening – takes away hope. And hopeless masses are very dangerous. Now, I personally think that there are earthquake weapons in space, and they would have to be in space because you can’t control waves that you send out over or through the planet from a fixed locator such as HAARP. The Cs explained this and darned if it doesn’t look like they were right, yet again! Moving on now. The next thing that catches my eye is the fact that two fairly major players on the political stage got taken out in the same week: Strauss-Kahn and Schwarzenegger. Well, I never liked either of them but it’s damned strange for this to have happened so synchronously. After all, the PTB take care of their own. If they can make people believe they got Osama Bin Laden, then they can get Arnie and S-K off the hook IF THEY WANT TO. 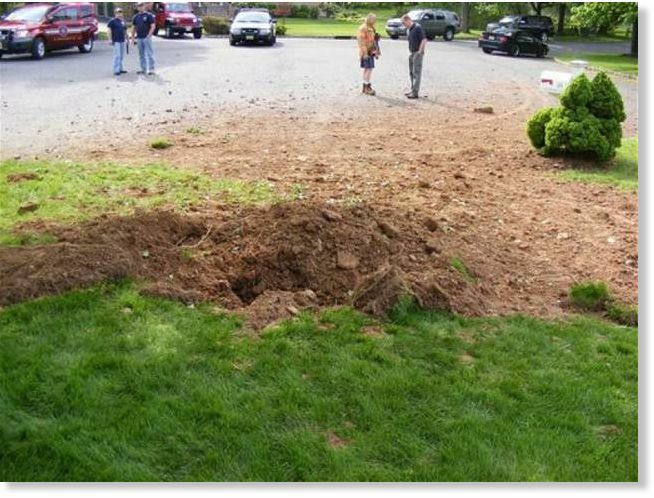 And of course, this one: Virginia, US: ‘Unnerving’ rumble felt across Hampton Roads remains a mystery which didn’t remain a mystery too long because the experts pronounced it to have very likely been an exploding meteorite. Laura: I see rocks – but they aren’t very large. They are like the size of your fist. Just a few. And they make something of a stir. An uproar. People will be excited… very upset. 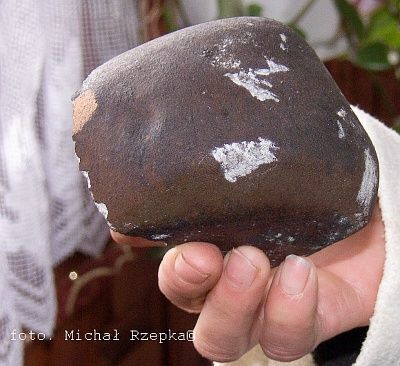 It looks like just two – two small rocks. And then nothing else happens for awhile, and then they forget about it. It all dies down. And then, a third, a fourth, a fifth and a sixth – and maybe even a seventh… isolated events, or so it seems. Still small. And then, a big one. All this will go on over a period of months. Now, of course, there are all these Fundies whining about the rapture that’s supposed to happen tomorrow, fer gawd’s sake! Last time the Fundies were carrying on about the end of the world, Japan had an 8.9 earthquake. So, either they are picking up on something that other people are not, or somebody is planting rumors and fanning them. The World isn’t going to end tomorrow and there isn’t going to be a ‘Rapture’, but that doesn’t mean that the next few days aren’t sensitive in terms of Earth Changes of some sort. But when, where, and how they may strike, only the Universe knows. The future IS open, you know. On the other hand, somebody “in the know” may actually know Something Wicked This Way Comes and have at least an approximate ETA. Maybe that’s the reason the BS has been cranked up to lethal levels? Anyhow, that’s what I see from where I sit.